Corporate high-tech scavenger hunt raises money for Real Options for City Kids. SAN FRANCISCO, CA – For the first time, Bay Area corporations competed head to head in a high-tech scavenger hunt throughout the San Francisco’s Presidio on Saturday, May 19th, 2007. Co-sponsored by Real Options for City Kids (ROCK), AngelPoints, Inc. and The Go Game, the Go for Good Corporate Urban Adventure Challenge raised funds for at-risk children in San Francisco’s Visitacion Valley. Teams from Joie de Vivre Hospitality, Esurance, The Kimpton Group, Sports4Good, AngelPoints, Friends of Jamba Juice and ROCK competed in the first annual event with “Christian’s Gigals” of Joie de Vivre Hospitality coming out on top. Armed with a video-capable cell phone and a digital camera, teams were tasked with completing missions and riddles, some of which involved the children of ROCK, and take pictures as proof of their accomplishments. At the end of the day, voting took place based on the digital proofs (creativity counts) and the first ever Go for Good champion was declared. Real Options for City Kids (ROCK) is dedicated to nurturing the healthy development of children by listening attentively to their needs and by providing opportunities to those who might not otherwise have access.  ROCK aims to promote the positive development and long-term success of the youth that it serves through a combination of in-school and after school learning enrichment, sports and fitness, leadership training, outdoor adventure, and summer camp opportunities. ROCK’s programs are designed to serve girls and boys, ages 6-17, who live in or attend school in San Francisco’s Visitacion Valley. To learn more, be sure to visit www.rocksf.org. AngelPoints is the leading provider of corporate volunteer solutions. Its flagship product, EVS, helps companies around the world manage, measure, reward and recognize over two and a half million employee volunteers. With more than 100 corporate brands, including AAA, Comerica, GE, Hallmark, Hilton, Pacific Gas & Electric, McKesson, Toyota, and three out of the top five largest U.S. banks, AngelPoints helps companies leverage their greatest asset – their people. Be sure to visit www.angelpoints.com. By utilizing the latest in wireless technology and building upon people’s intrinsic need for fun and connectivity, The Go Game seeks to become the first truly compelling application of the wireless web. Our game encourages players to realize the magic and creativity that surrounds them daily…to see their world as the enriching playground it can be. We aim to re-create the way you recreate. Check them out at www.thegogame.com.